Katie: May I be excused please? I’m just going to get a little more rice. Brooke, humming softly into her plate and appearing, as she often does, not to be taking in anything around her: I took it all but you can have some of mine. Sorry. 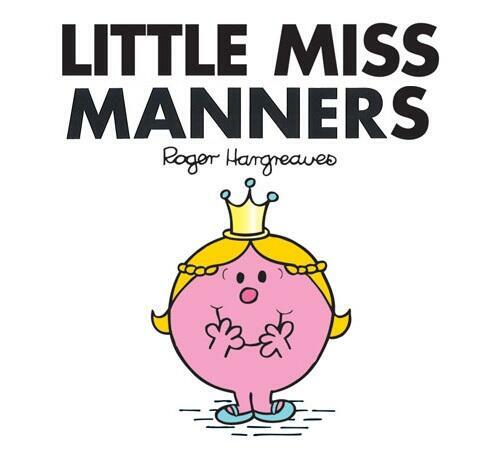 While I’d shared it because I thought there were some pretty profound truths laid bare by that briefest of interactions, I loved that more than a few readers commented on the girls’ manners. There was a time when I thought that manners were, well, the last of our priorities with Brooke. At a time when her only real tools to communicate were the last few words that had been spoken and her ability to physically lead us across the kitchen to the fridge, all I wanted was for my girl to be able to tell us what she needed. I would have taken ANY words delivered by any method that conveyed her purpose or need. I was not remotely concerned with whether or not there was a please or a thank you to be found in them. Over time, I began to realize that manners were not an added burden for Brooke. In fact, not only weren’t they a hindrance to communication, they actually helped to grease the wheels. Brooke thrives on structure. She feels most comfortable with predictability. She is completely at home with a script and, conversely, tends not to have the foggiest idea how to navigate most social situations without one. Manners are a script. And better yet, they’re often a reciprocal one. May I please … leads to Yes, you may. Thank you is met with You’re welcome. Thanks for having me over begets Thank you for coming. The responses are varied, of course, and truthfully, that took some time to get used to, but most traditionally polite bids are almost universally recognized and illicit pretty safe and comprehensible responses from those she is inclined to approach. Manners give my girl a place to start: a template for phrasing a query, a script to ease the transition at the end of a visit, a consistent plan for ordering food in a restaurant. They help create the structure she craves. All that time that I thought social niceties were just one more (unnecessary for now) challenge for her — yet another stumbling block on my girl’s road to being understood, I didn’t realize they could actually help to pave it. So, yes, my girls – both of them – are pretty darn polite, thank you very much. Yes, I completely vouch for my granddaughters and their politeness. It’s yet another attribute to love about two of the greatest kids! One son is on the spectrum and one is not. I’m raising them both alone. I’ve never been more proud then when friends and strangers comment on how polite my boys are. Sometimes, It’s the positive simple things in a world of worry that make me have strength to get through a tough day. We feel the same way, Jess! Our son with ASD has impeccable manners! Now, two weeks away, we are still struggling with what to send as a “thank you” to our decorator. We will figure it out. Who isn’t a complete goofball when confronted with lovely manners? But besides charm, manners (or guides?) serve such a wonderful purpose in helping all sorts of people navigate stressful situations simply by relying upon some (however arbitrary) rule. Thank you, mutually-agreed-upon-boundaries.